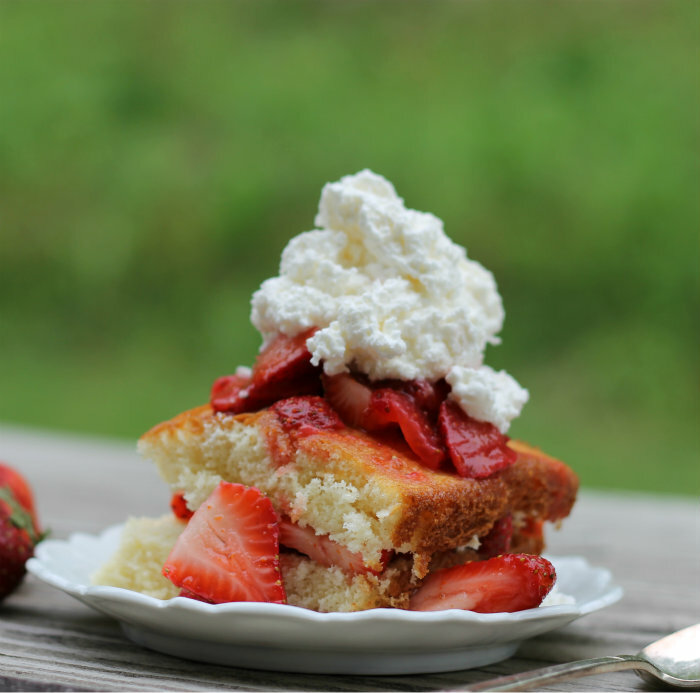 Shortcake with orange zested strawberries.. the citrus flavor brings this strawberry shortcake to a new level. I hope all the moms out there had a wonderful Mother’s Day yesterday. My day was on the quiet side for the most part, but it was a lovely day. I went to visit my mom in the evening. I knew that some of my siblings would be gathering at my mom’s house, so I decided to bring some dessert. I decided to go with a non-chocolate dessert. Can you believe it? A day before I had purchased some strawberries and I couldn’t think of a better way to use them, then to make shortcake. 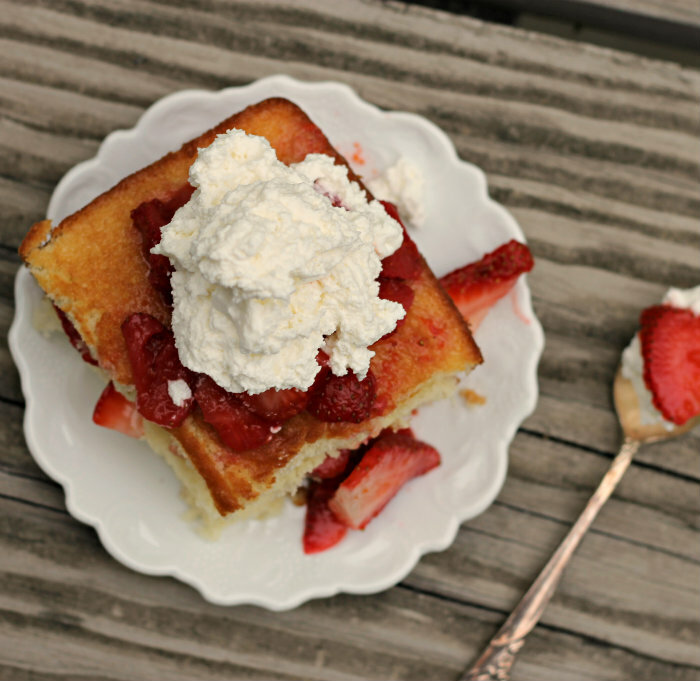 Sweet berries with sweetened whipped cream to top a moist cake… so yummy. I decided to add a little orange zest and juice from an orange. The orange zest and juice gave the berries a hint of citrus flavor that was wonderful. A simple dessert that was a hit with everyone gathered at my mom’s house. Prepare cake- Beat the eggs using an electric mixer on high speed, until lemon colored about 3 minutes. Gradually add the sugar beating on medium speed for 5 additional minutes. Sift together the flour, baking powder, and salt. Add to the egg mixture, using a spatula fold in by hand.Heat the milk until hot, but do not bring to a boil, add the butter. Stir the milk mixture into the batter, add the vanilla and mix until well blended. Pour into a greased and floured 8 by 8 by 2-inch baking pan. Place in a oven that has been preheated to 350 degree F. Bake for 23 to 27 minutes or until the cake is a golden brown and bounces bake when center is touched. Cool completely. Strawberries- Wash strawberries. 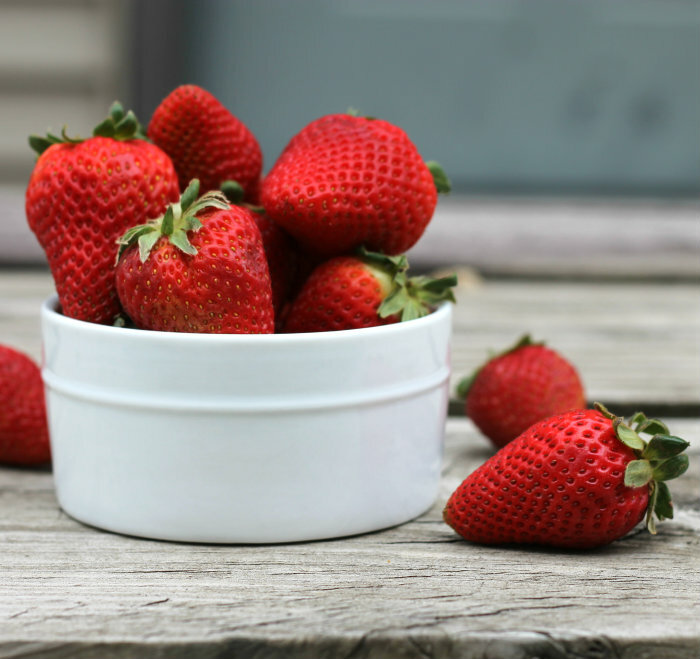 Slice strawberries and place in a bowl. Add the zest from one orange and 2 tablespoons of freshly squeezed orange juice, mix. Add sugar to taste. Cover and place in the refrigerator for about an hour. A very summery treat, Dawn! Any dessert with strawberries is a-okay with me. This looks so good! Nice dessert Dawn, and yes, I love the orange zest…looks really delicious! Such a lovely dessert! I love the fresh fruity flavors in every bite. We don’t make strawberry shortcake nearly often enough. 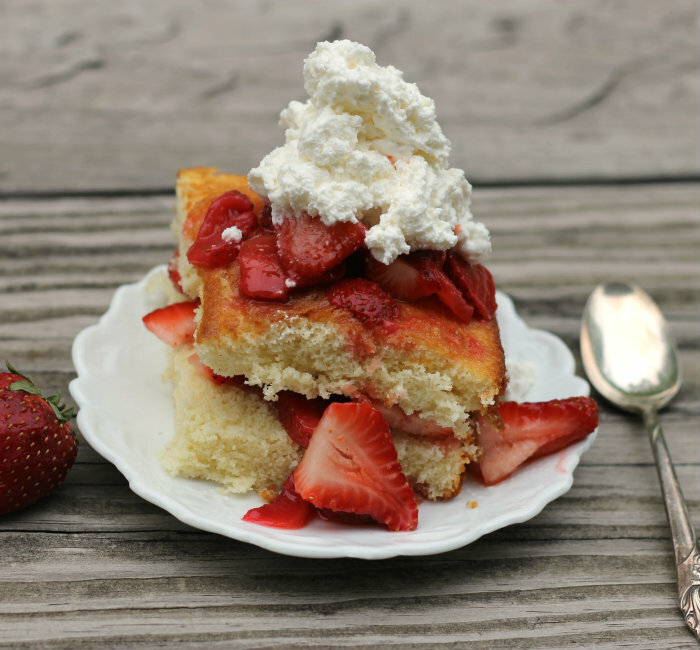 It’s really one of the world’s best desserts — the lovely shortcake, the luscious strawberries. This looks superb — thanks. Orange sounds like a delicious addition to strawberries! A great way to perk up shortcake! One of my favorite desserts. Hope you had a wonderful Mother’s Day!